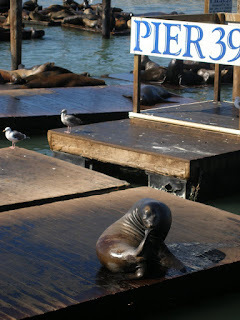 Since the majority of the sea lions have left their home hangout at Pier 39, the Pier has decided to postpone the celebration of their arrival 20 years ago. The Pier and the Marine Mammal Center plan a bigger celebration later on this year when the sea lions (hopefully) return to their San Francisco home. However, the Marine Mammal Center docents will still be available on Friday, January 15 and Saturday, January 16 by the K-Dock at Pier 39 to provide information about the sea lions and their recent unusual behavior.